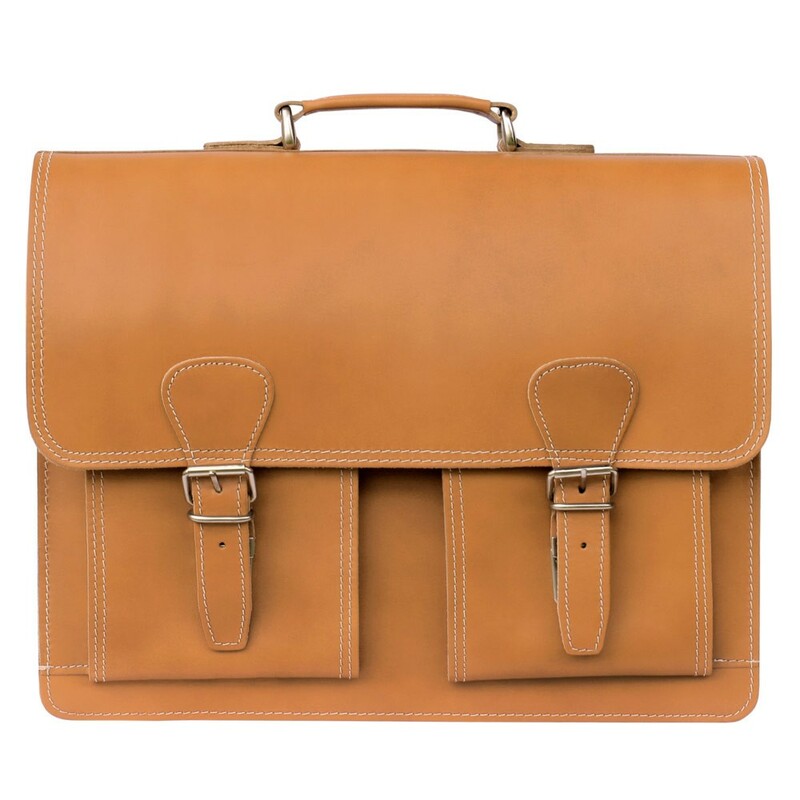 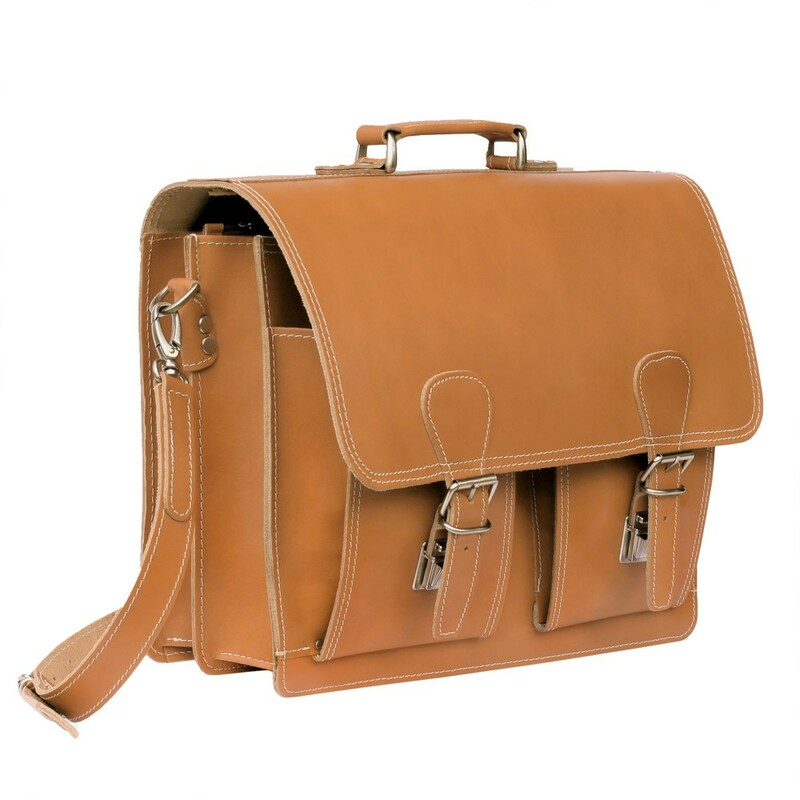 The classic of leather briefcases, for 50 years the leather bags have been made after the same pattern: For years this spacious messenger bag has been and is a loyal companion for generations of teachers, student teachers, lecturers and students for school or university. 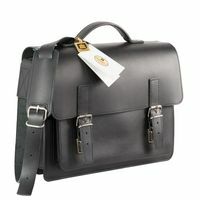 This bag also suits older youths perfectly as a robust school bag. 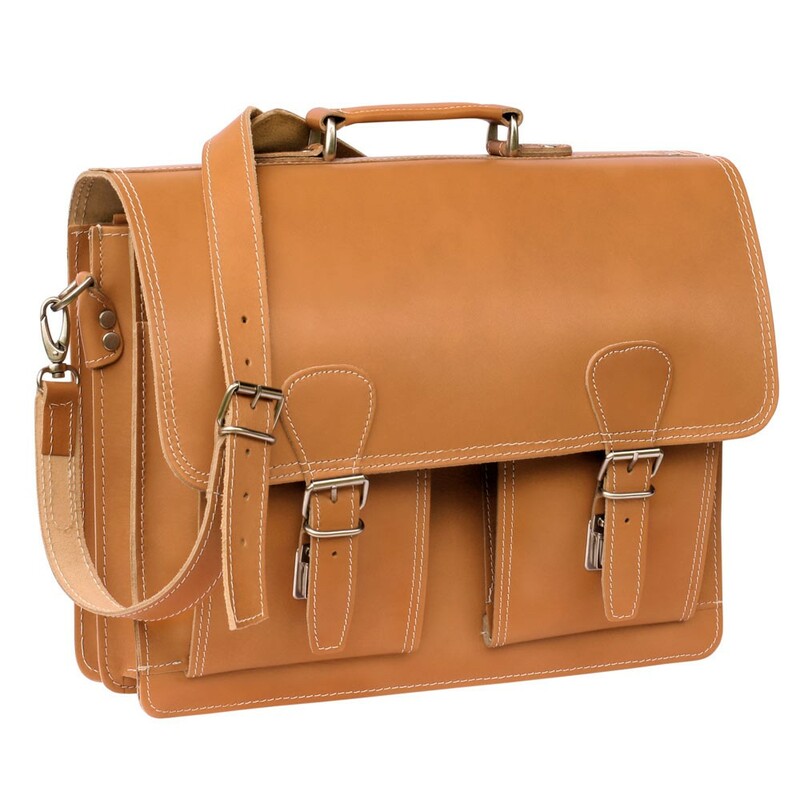 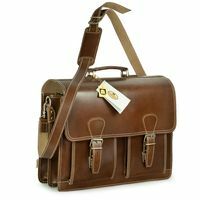 The messenger bag is made out of firm, robust leather and focusses entirely on the essentials. 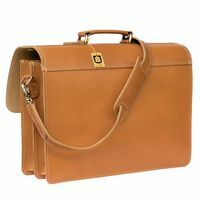 That way the focus lies on the functionality of this briefcase – important for people who have to pack, repack and unpack a large number of documents and books on a daily basis, like e.g. teachers, student teachers, lectures and students. 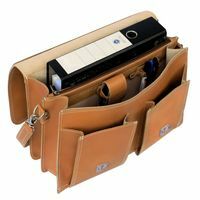 Manufactured raw-edged and unlined, this leather bag guarantees persistence, also with permanent use and occasional challenging handling. 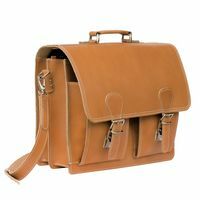 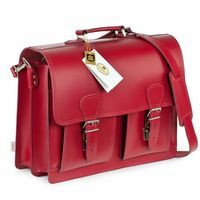 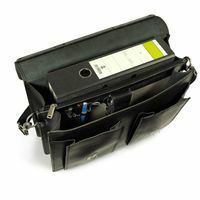 The inside walls are made out of light leather fibre fabric to reduce the satchel’s own weight. 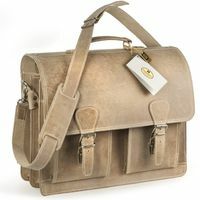 You definitely will have a loyal companion for many, many years with this shoulder bag!